Discover the beautiful Bestie Bay historic harbor at the quaint village of Frankfort. Your adventure begins aboard the Sleeping Bear Dunes Glass Bottom Boat Cruise— cruising toward the National Lakeshore of Sleeping Bear Dunes you will be awe-struck at its unmatched beauty. Enjoy the inspiring views of dunes, high cliffs, and lighthouses. Enjoy lunch today at the Victorian port city of Manistee nestled along the shores of Lake Michigan. Manistee is one of the little known gems in our state. Winding River Street in the heart of downtown is home to all kinds of shops and restaurants and all are housed in turn of the century buildings. Many are listed on the Natinal Register of Historic Places and Districts. Dine in one of several restaurants along the Riverwalk—watch as cruise ships pull into port. happens at a local organic fruit farm and vineyard. With a desire to pull from the past, the tasting house has been restored. Formerly a “bunk house” for passengers arriving along the railroad at the turn of the century, guests enjoy sipping a glass of fine wine or hard cider on the field stone porch of this century old building. Salute! Experience a little Las Vegas in northern Michigan at the Little River Casino & Resort—with more than fifteen hundred slots and some of the best promotions in Michigan and three very unique dining options. This evening we travel to Ludington for our overnight. Many groups choose to arrive in Michigan by taking the Lake Michigan Car Ferry, the SS Badger. This four-hour cruise sails Lake Michigan between Manitowoc, Wisconsin, to Ludington, Michigan. Yes, it is an authentic steamship experience tht takes your passengers and motorcoach across sixty miles of the sparkling blue waters of Lake Michigan. Whether you’ve arrived in Ludington tonight by land or ferry—enjoy your overnight stay at the Holiday Inn Express in Ludington. Got Milk? Experience what life is like at a working Dairy Farm with Country Dairy. Your tour begins at their very own “Moo School.” Take a guided tour by wagon and see the dairy farm and their award-winning cows, how cowsare milked, and how milk is bottled and turned into cheese and ice cream, too. 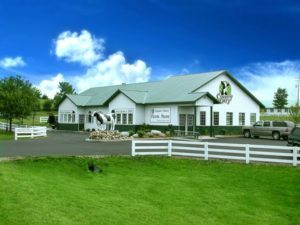 Stop at their farm store and try their famous “Moochies.” Of course you have to sample the best ice cream in Michigan—their very own—Country Dairy! With the backdrop of Lake Michigan, Muskegon’s “lake effect” greets you. The area is rich in naval history—today you’ll tour one of America’s most famous World War II submarines. Next stop, tour the unique Fire Barn Museum, a living memorial dedicated to the area’s firefighters. Built in 1875 the historic fire house used hand drawn, horse pulled hose carts, allowing firemen to quickly respond to fires in the neighborhood. Antique fire-fighting equipment fills the Fire Barn Museum. s and it’s all here in Holland, Michigan. 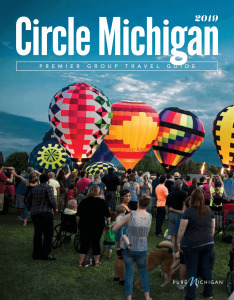 “Tulip Time,” one of Michigan’s most popular festivals is held each May. Celebrating everything that is Dutch—witness the Klompen Dancers, the traditional scrubbing of the streets, authentic Dutch costumers, and much more. Pick from a variety of musical performances and parades. Visit Dutch Village and enjoy the group culinary experience of making “Banket.” Or maybe take a Dutch dancing class. 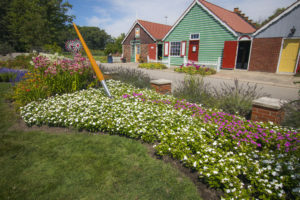 See the beautiful oasis, Windmill Island, a thirty-acre manicured park featuring a 250-year-old working Dutch windmill and surrounded by dikes and canals. Of course, while in Holland be sure to pick up a pair of your own wooden shoes, too!